The philosophy of mind conference Minds, Bodies, and Problems, held at Bilkent University on 7 and 8 June this year, is now over, and based on the feedback from speakers, local faculty, and students, we can indubitably call it a big success. The interest was great, we got a large number of excellent submissions that would have been enough for at least two such conferences. 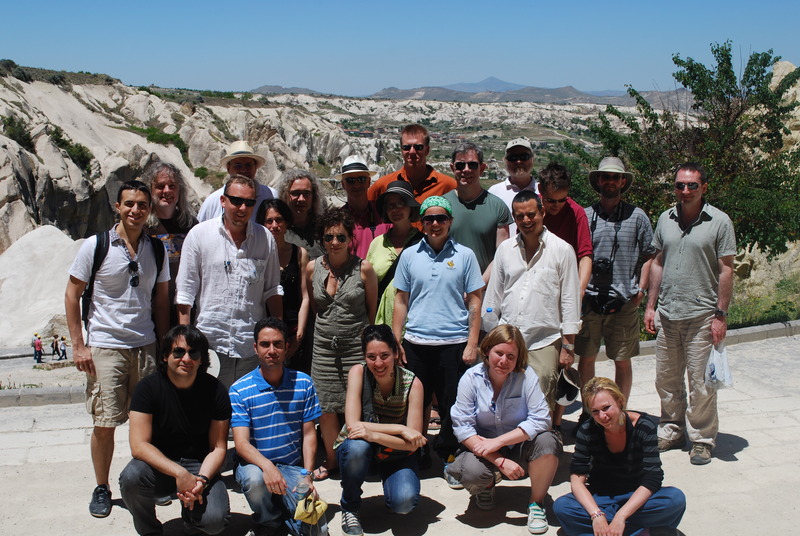 And the post-conference trip to Cappadocia, central Turkey, was simply amazing. Here is a group photo taken there, followed by some afterthoughts and future plans connected to this conference, which we plan to organize every year at Bilkent University. “Three Puzzles About Spatial Experience.” Tuesday, June 5, 5:30pm, Old Rector’s Library (Rektörlük Konferans Salonu). In the building behind the green kiosk at BU’s South Campus. Chalmers is one of the best known living philosophers. For those of you not familiar with his work, here’s a link to the Wikipedia page about him. He will also be giving a talk at the “Minds, Bodies, and Problems” conference, at Bilkent University (Ankara), June 7-8, 2012.